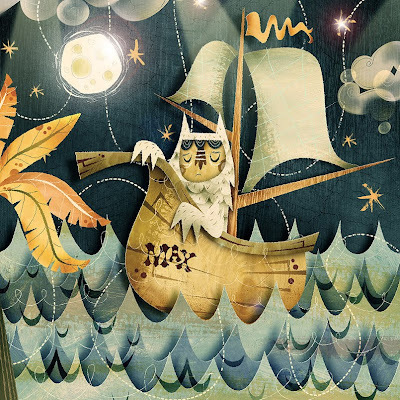 Terrible Yellow Eyes: "With a private boat"
Alberto Cerriteño returns to where the Wild Things are with this beautiful new contribution! I love the shapes Alberto does with paper cut outs. His colors are always top notch, too. To see more visit Alberto over at his blog.